The new 2018 Honda Fit went on sale today, and when you look at the list of new functions and technologies along with its fuel-efficiency and interior specifications, you realize that new Fit will be a vehicle that is very hard to compete with in the subcompact segment. Indeed, the new Fit starts at just over $15,000, and yet it is packed with technologies that you don’t find on any other vehicle in this class, and even some classes above. Oh, and its trunk is spacious enough that it puts certain SUVs to shame. 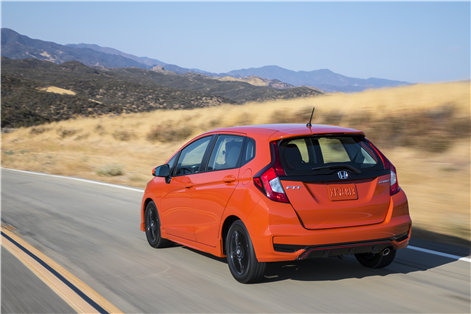 The new 2018 Honda Fit is powered by a 1.5-liter, four-cylinder engine that delivers 130 horsepower and 114 pound-feet of torque. This engine is either paired with a manual transmission, or a continuously variable automatic gearbox. In both cases, you get a fuel economy that is unmatched. Indeed, with the CVT automatic transmission, the 2018 Fit’s average combined fuel consumption rating is set at just 6.5 liters per 100 kilometers. That’s certainly not bad for a vehicle that also offers nearly 500 liters of cargo space with all seats in place, and almost 1,500 liters with the rear seats folded down. Note also that there is a new Sport version for 2018 that adds unique features like a bright, very noticeable orange color, 16-inch black wheels, and a range of chrome accessories. The new 2018 Honda Fit comes packed with an amazing level of technology, especially for a vehicle in this price range. 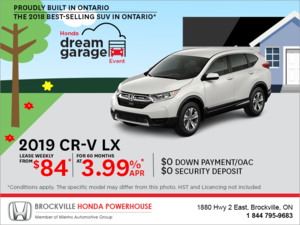 For example, many version of the 2018 Honda Fit feature technologies like Apple CarPlay and Android Auto, two systems that allow a perfect integration between your cellphone and your Honda Fit. That means that you have access to all of your phone’s features while driving, and more importantly you can use them safely. Also, the 2018 Fit offers a wide range of advanced safety features which are found in the Honda Sensing suite of active safety technologies. To put it simply, no other vehicle in this class or price range can compete with the Fit in terms of safety. All 2018 Honda Fit models that are equipped with an automatic transmission get Adaptive Cruise Control (ACC), Collision Mitigation Brake Braking System™ (CMBS™) incorporating Forward Collision Warning (FCW), Lane Keeping Assist System (LKAS) and Road Departure Mitigation (RDM) with Lane Departure Warning (LDW). Now there’s something to love! To learn more about the 2018 Honda Fit, contact us today at Brockville Honda!